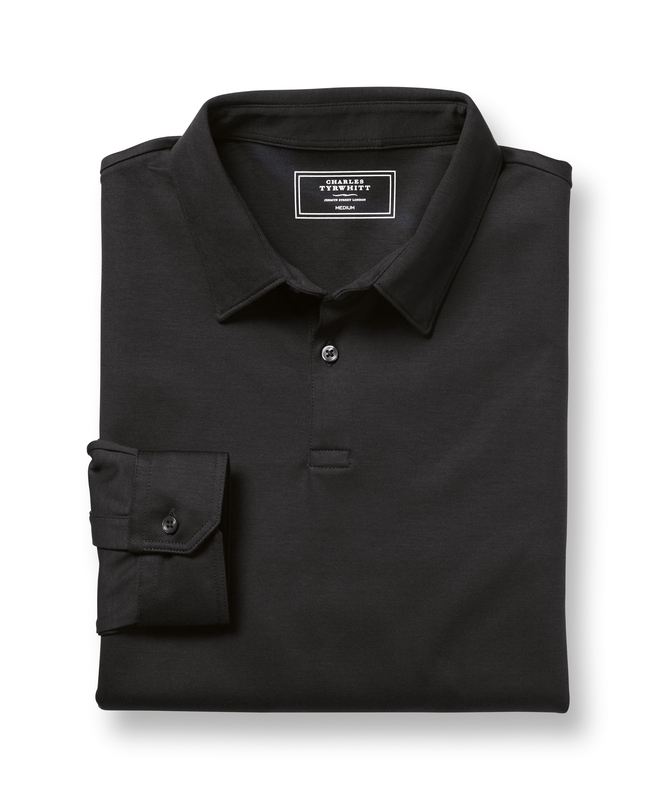 "Consider these your dressed up polos: they’re made from a smooth cotton jersey with a smart subtle sheen. They’re perfect for business, evenings out and other occasions where you feel like skipping the shirt (did the shirtmaker just say that?)." "Business Casual polo shirts made from 100% cotton knitted to a fine jersey with a smooth surface."